You may have played a long time ago and are thinking of starting again. You may be a total novice wanting to learn without judgment from others. Or you may be a parent looking for the best tuition for your child. We welcome students of all ages and levels, from young children to adult beginners. The Sokol Piano Academy has developed a unique pedagogical approach that allows students to relax, focus, and attain a high level of performance. Our qualified professors have been concert pianists of the highest calibre, having performed in front of large audiences. They have been trained in-house to teach students of all backgrounds, even complete beginners. Their unrivalled experience and training gives them a rare perspective on how best to learn the piano. We tailor our method to students’ individual needs, enabling them to achieve their peak potential. The Sokol Piano Academy shares its musical knowledge in a supportive setting, training our pupils to be patient, disciplined, and creative, so they can nurture their own passion for music. We ask new applicants to schedule a trial piano lesson on site first. This ensures that our course and philosophy will help you learn and improve rapidly. Don’t practise until you get it right. Practise until you can’t get it wrong. 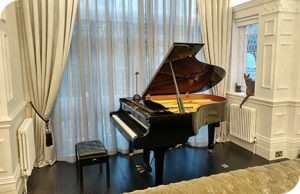 Based in Hampstead with studios throughout London, the Sokol Piano Academy prides itself in providing the most innovative and engaging piano lessons London has to offer. 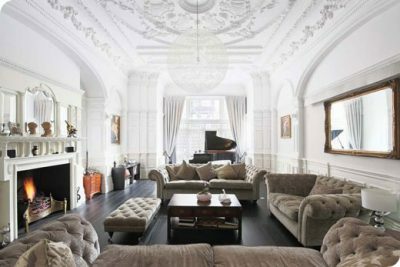 Assisted by our tutors, our piano professors teach an exclusive method proven to deliver outstanding results. We have taught celebrities including Ryan Gosling (for his role in La La Land), Simon Pegg, and Lenny Henry. Book a trial piano lesson online or fill in a short questionnaire and let us find the right piano teacher for you or your child. These are the piano courses taught by our London piano teachers in classical piano. Looking for adult beginners piano courses? Or private lessons for children? Here you will find exceptional tutors around the London area. 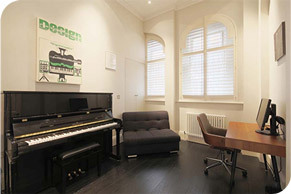 Some of our piano teachers also provide courses in jazz piano. The Academy is praised as the best piano lessons London has to offer.